This morning we were given this song. It is most definitely a love song but we are asked to look past the “romantic” love and see all love. Again today we are being addressed as lightworkers. We are reminded to lead with our light, faith, HOPE and love. We are just what the world needs. Remember the “you” in “we” are exactly what makes each moment special. Your heart is exactly perfect. Work your magic, Lightworkers. -Meditate/pray…..let your essence bubble up. -You are the keeper of light. There is no better way to let it shine than to share it. -A good day at school. -An easy relaxing drive to Stillwater. -Ahhhh……my cottage, PJ’s and a great book. -I got my “DNA” picture hung and it is simply stunning. 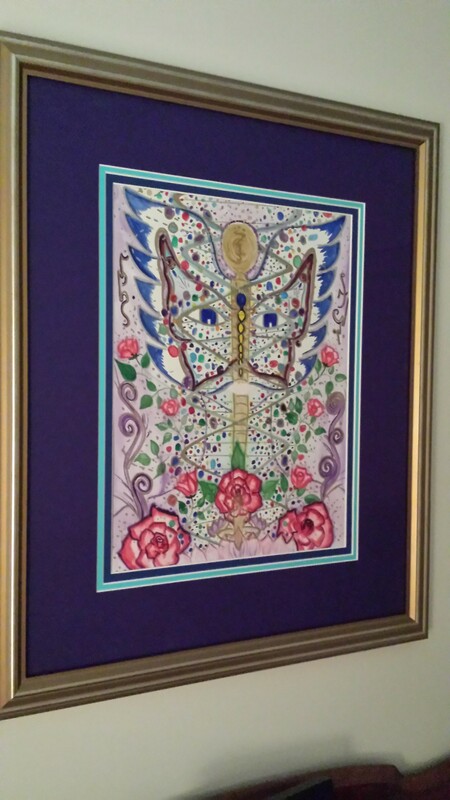 It is by Marie-Cecile who does DNA Transformational and Soul Self artwork. I have to admit I feel special each time I look at this piece.